New global privacy regulations like GDPR require non-trivial changes to the way business handles private data it gathers from users. PrivacyCheq’s ConsentCheq service is a high performance SaaS platform that facilitates transparency and consent compliance for all modern businesses that gather and use private data from customers. Over the past ten years, numerous privacy leaks, breaches and revelations about digital surveillance by government have driven digital privacy to the forefront as a global concern. New regulations are now in force requiring every business that gathers private data to make changes to their data-handling procedures and online user touchpoints. 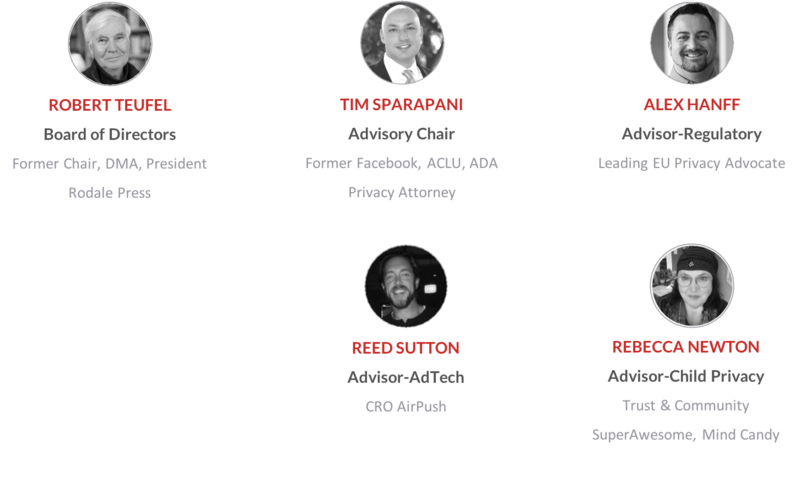 GDPR is considered the model for many similar privacy regulations around the world -- including the US, with the recently-passed California Consumer Privacy Act, which takes force on January 1, 2020. Unlike previous privacy regulations that just required changes to the fine print of legal privacy policies, these new regulations require technical updates to every corporate data ingestion point and change how businesses must operate on a daily basis in order to avoid massive fines. So what do these new operational requirements mean for enterprises? 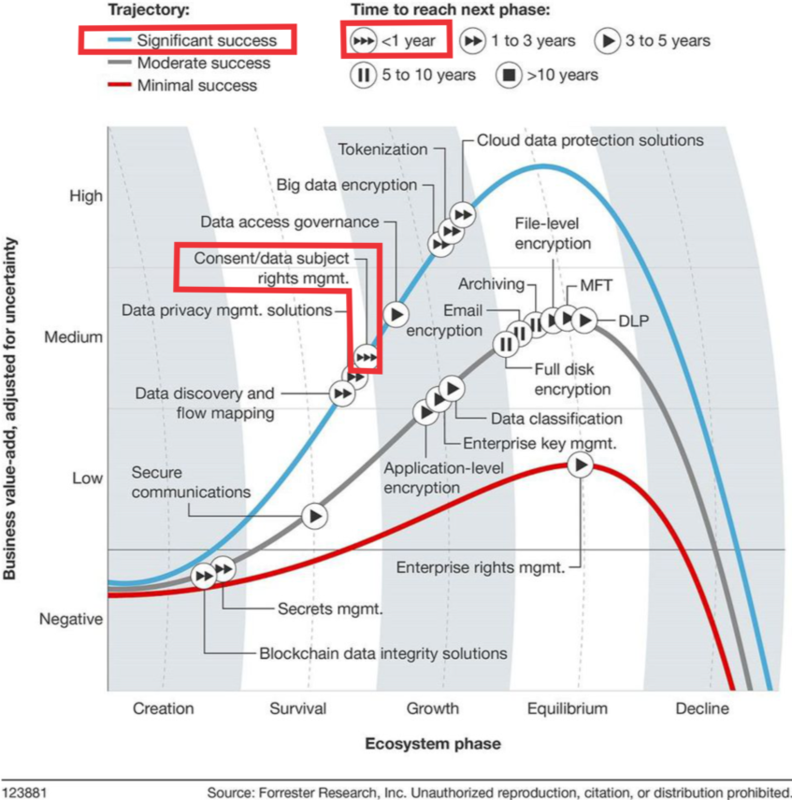 What these enterprises need is an elegant SaaS consent management solution that can easily be integrated into all of their data gathering points, delivering consumers transparent privacy explanations, handling the complex operational requirements of GDPR and providing abundant proof of consent compliance upon request from regulators. Amongst all regulatory compliance technologies, consent management is the sector that will achieve mass adoption quickest. 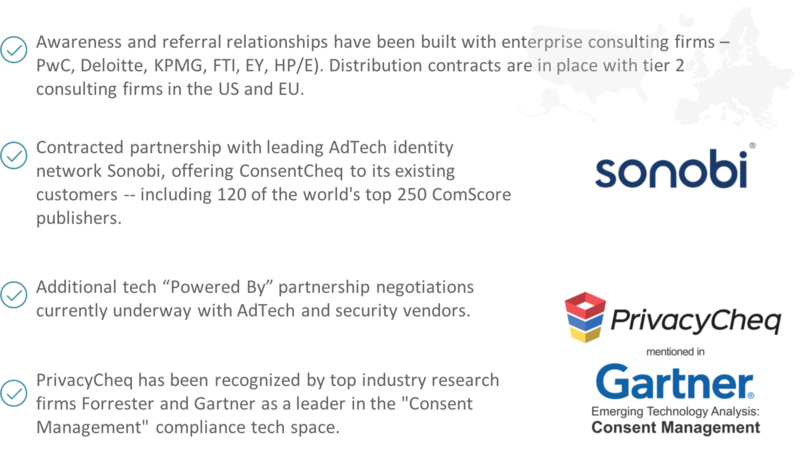 According to Forrester Research, consent management software solutions will be widely adopted by global enterprise within the next year, as quoted in Forbes Magazine. ConsentCheq delivers transparency through “clear and understandable” privacy notices that look great on any device, in multiple languages, with full version tracking. A content management system allows content changes to be easily made and published without technical staff involvement. Affirmative user consent can be gathered from web sites, mobile apps, email, telemarketing, text messaging, voice commands, and even physical locations like retail stores. 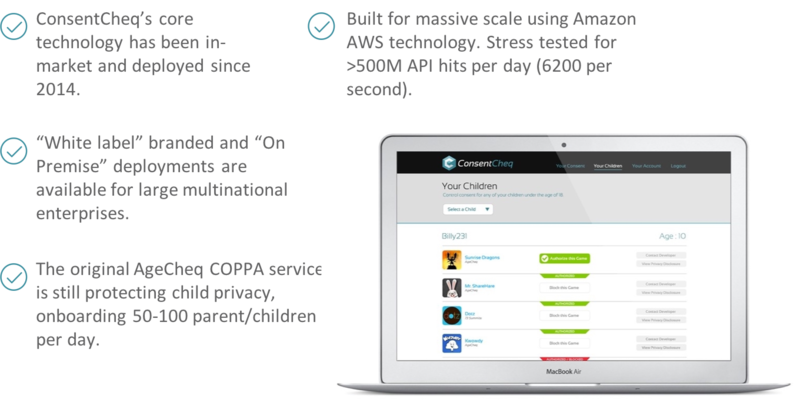 The full-featured API facilitates operational consent verification across all device types, allows any number of enterprise departments to verify consent each time they use private data. Supports third-party (known as “data processor”) verification, as required by GDPR. 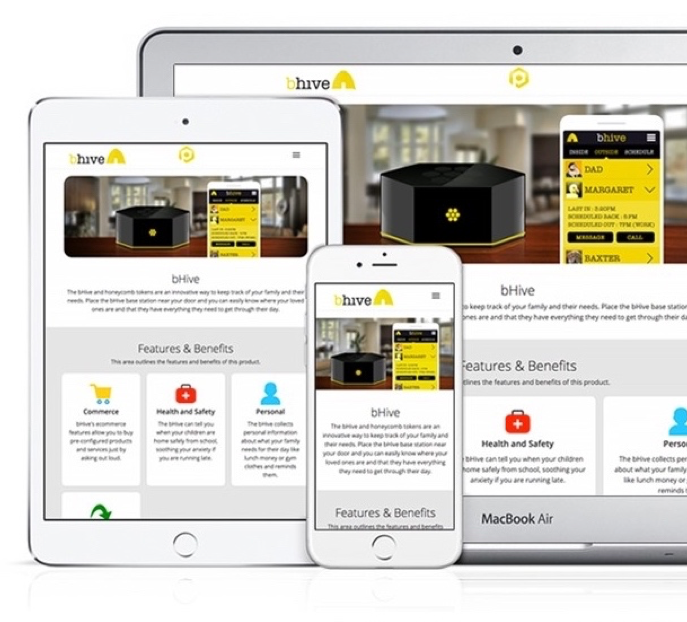 Allows users to access all functionality from a user-friendly privacy management dashboard, providing a convenient way to revoke consent, and exercise the right to portability or to be forgotten. Provides detailed management reports of all interactions with data subject, including notice views, consent activity, subsequent changes, and consent verification. 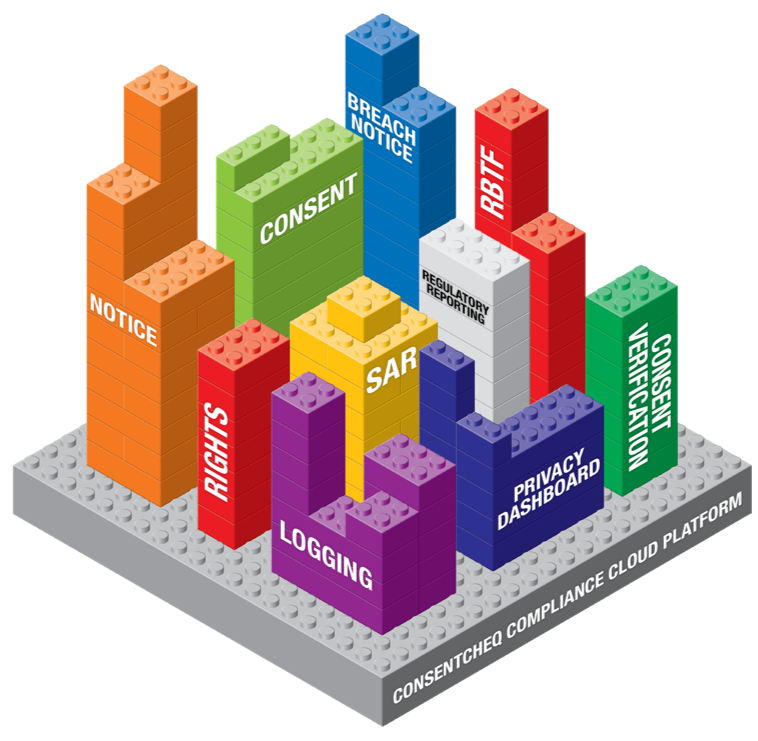 Universal Compliance | Provides ongoing compliant notice and consent for a growing list of regulations that become enforceable and/or get updated such as GDPR, COPPA, CASL, LGPD, ePR & CCPA. 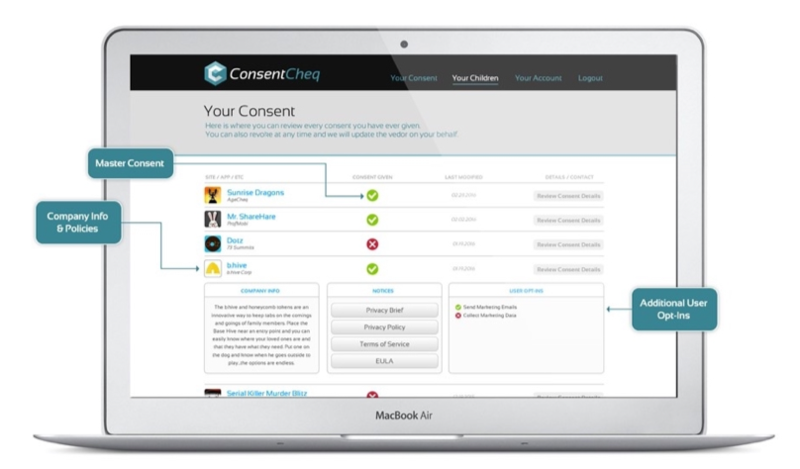 Comprehensive Consent Management | ConsentCheq manages all enterprise activity requiring consent - including websites, mobile apps, email marketing, loyalty programs, tech support, telemarketing, in contrast to “cookie” solutions that only address the compliant use of targeted advertising. Common Consent Dashboard | ConsentCheq’s user privacy dashboard is designed as a simple, elegant common consent management tool that gives users a single place to go to manage their privacy for all the sites they use. 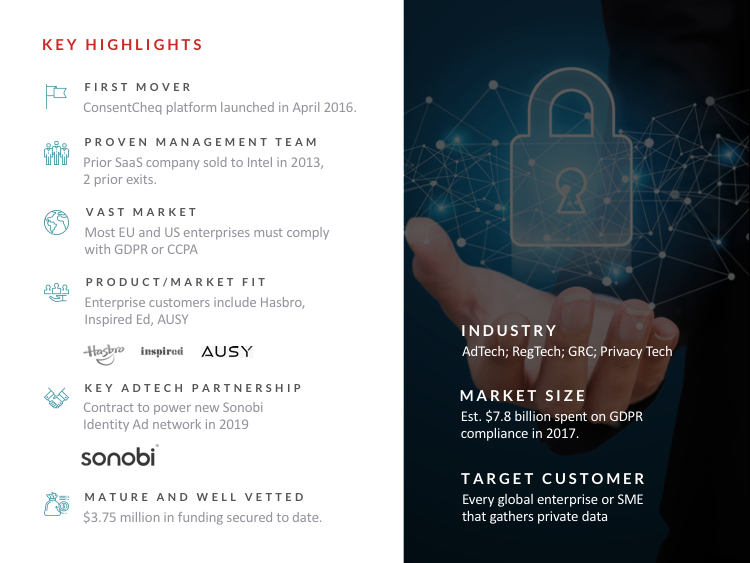 First launched as AgeCheq, a COPPA consent service for mobile game publishers in 2014, and revised for GDPR in 2016, ConsentCheq has grown into the most robust and scalable consent management service on the market.